Delancey Street selected Maui Economic Opportunity (MEO), a community action agency with a respected track record of promoting economic development and bringing vital educational and social services to underserved communities in Maui, Hawaii to start a replication under its umbrella organization. Gladys Baisa, the Executive Director of Maui Economic Opportunity at that time, and members of her staff and Board of Directors traveled to San Francisco to study the Delancey Street Foundation, and the MEO’s BEST program was ultimately selected as a Delancey replication, The BEST program purchased a building that has residential space with the possibility of retail space as well. Men who will become the first residents of the BEST Program are now renovating the building. The building has the capacity for about twenty-five residents and will be inhabited once renovations are completed. With the training received at several Institutes for Social Renewal as well as technical assistance provided on site in Maui, BEST staff are working to structure the program to emphasize the attainment of multiple job skills, along with academic education and intensive life skill training in a peer-driven, family oriented, “each one, teach one” environment in which residents hold each other accountable to the highest possible standards of conduct and work alongside each other in numerous business training schools. 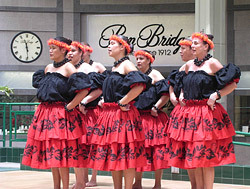 Among the business training schools to be investigated are a culinary arts training program, which will provide meals to Head Start programs and schools on the island and cater functions for outside clients, along with a cultural arts and performance program using Hawaiian Hula music, dance and storytelling for exhibition among the many tourist resorts in Hawaii. MEO BEST also received a grant to develop a native Hawaiian agricultural program that will provide hands on training in taro farming and cultivation of native plants, assisting participants in acquiring marketable job skills. Tanji, Melissa. "MEO, Delancey offer reintegration option,” The Maui News 27 May 2004. Kubota, Gary T. “Maui and mainland groups join in quest to help felons,” Honolulu Star-Bulletin 26 May 2004. Hurley, Timothy. 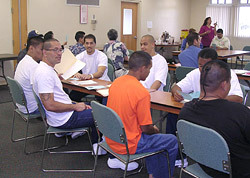 “Ex-con program on Maui expands,” Honolulu Advertiser 26 May 2004. Cort, Gallup. “Maui Prison May Get Help,” Maui Weekly 3-9 Jun. 2004.